I’m a big fan of the Yakuza series. It takes the real world RPG style pioneered by Shenmue, combines it with a great combat system and compelling story to create something truly unique. Here’s my review of the Dragon of Dojima’s first HD outing. 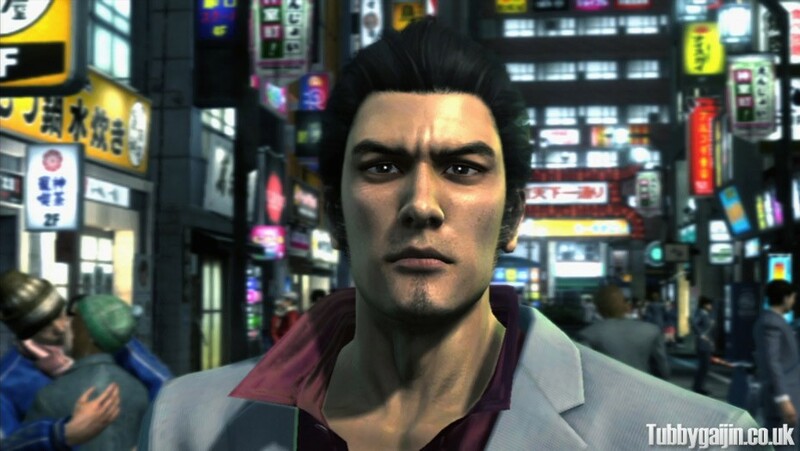 If you count RyÅ« ga Gotoku Kenzan – the Japan only(currently) Miyamoto Musashi centered sidestory, Yakuza 3 is in fact the fourth entry in the series, and the third in the continuing story of Kazuma Kiryu – former Fourth Chairman of the Tojo Clan and holder of the title “Dragon of Dojima”. 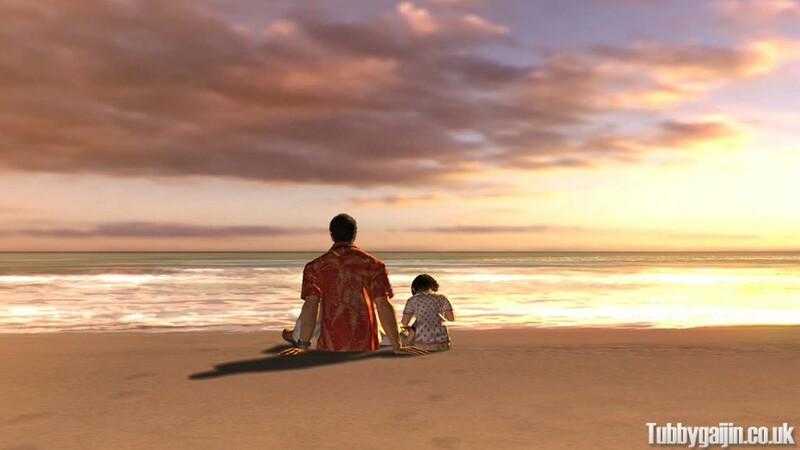 The story picks up a year after the events of Yakuza 2, with Kazuma having started a new life in Okinawa running an orphanage with Haruka. He’s forced back into his old world when a shady land deal threatens the future of his Orphanage and a two of his closed allies are shot by a man bearing a resemblance to Shintaro Fuma, his deceased adpotive father of sorts. While serene, your life in Okinawa is anything but quiet. Before you return to Tokyo you’ll tustle with the some families of the Okinawa Yakuza, but make others your closest allies and friends. On the flipside of this you’ll also find yourself dedicating alot of time to look after the various kids under your care. Settling family disputes and school bullying become a welcome change to the games usually violent themes and help cement Kazuma as a very principled character who’s trying to move on from his past. Before too long though, you’ll find yourself back in Tokyo walking the streets of Kamurocho, the series’ take on the real-life Kabukicho red light district. I’ve walked around this place many times, and can contest to what a great job they’ve done visualising it. 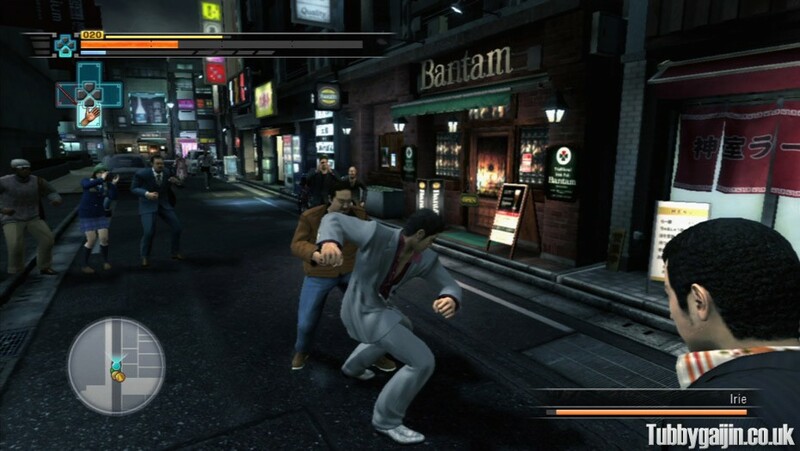 Yakuza 3 ditches the fixed camera angles of the previous games, opting for a ‘chase style’ camera which brings you right down into the action and allows a much better look at all of that wonderful detail. 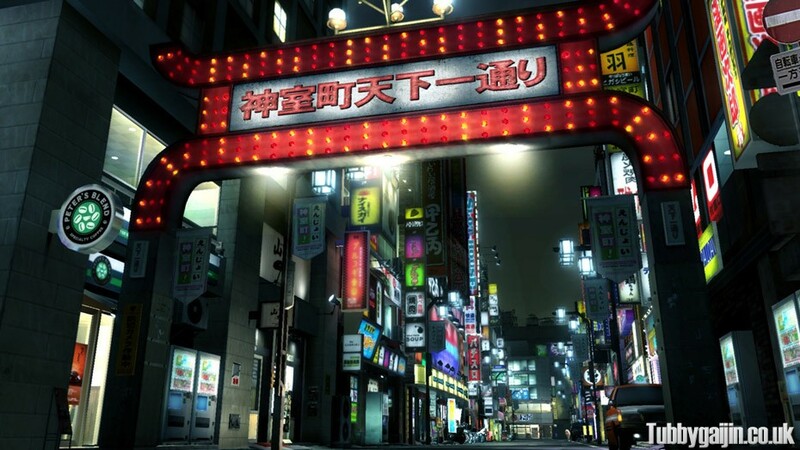 One of the main reasons I enjoy the Yakuza games is pure escapism – I feel(and wish) I was there, having never visited Okinawa I didn’t feel as much of a connection to the starting area, but found it an interesting change to the bustling metropolis you explore later on. Combat as always is very fun, adopting an arcade brawler style with over the top special moves and environment attacks. Weapon crafting and modding has also been added, I’m assuming lifting some content from Kenzan as you learn ‘Miyamoto Musashi’ special moves. Levelling up is handled in a similar fashion to previous games, allowing you to invest your points in 3 channels: soul, tech and body to build up your character as your wish. An interesting new feature is the Revelations system, which allows you to unlock new moves by taking photos of weird and wonderful events and posting them to your in-game blog. Other new features aren’t quite as great though, chase mode feels overly controlled and frustrating. Luckily this isn’t a regularly used feature and doesn’t cast too much of a shadow over an otherwise fine game. The story penned by Masayoshi Yokoyama is a deep, complicated and sometimes convoluted tale. If you’ve played the previous games you’ll see alot of familiar faces and plenty of new ones too as you uncover what’s behind the shooting of your friends and the Okinawa land deal. The story gets mildly ridiculous in places, but nowhere near Yakuza 2’s tiger battle. As always Kazuma has to deal with many losses, the harshest being the death of a close friend, who takes a bullet meant for him – a loss which devastates Kazuma. It’s impossible to talk about this game without mentioning the subject of cut content. When localising the game SEGA deemed it necessary to remove a number of features from the game, namely hostess bar, mahjong and shogi minigames. It does detract from the immersion a bit, walking around the red-light district but not running into one hostess is a little odd… but there’s still plenty to enjoy here. So if any of the above has grabbed your interest or sounds like something you’d enjoy, I can’t stress this enough – BUY THIS GAME. SEGA representatives have been quoted as saying the highly dedicated fan base was a big deciding factor when considering a western release, so head out and buy this new to help secure the series’ future in the west. I’m still hoping for a Kenzan release here, but for now… on to Yakuza 4! Ni no Kuni DS Special Edition!! I’d say there’s a pretty good chance! Especially as HD releases of PS2 classics are becoming a regular thing. If it does happen, be sure to give them a go as they’re awesome, great gameplay and story!